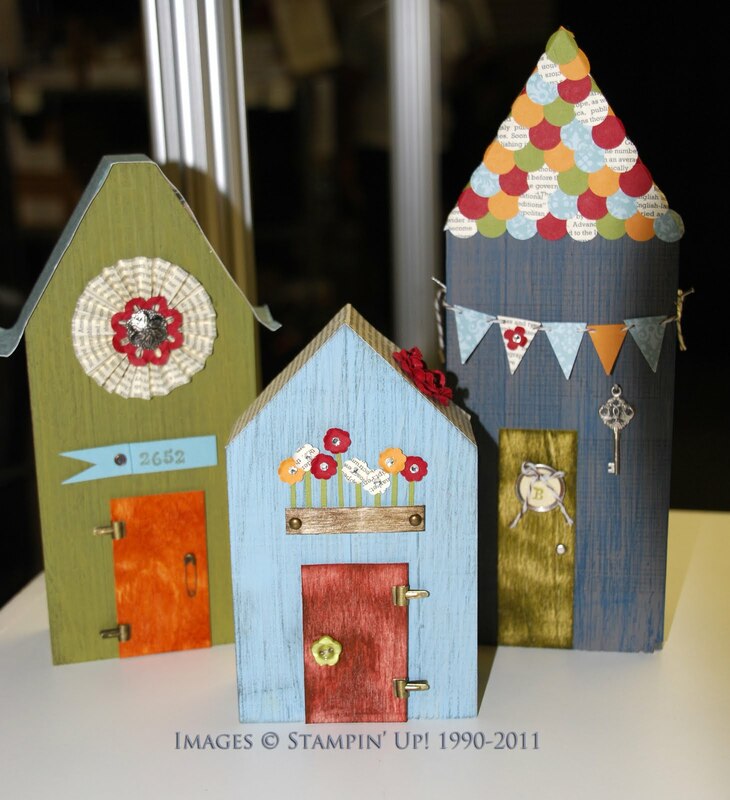 SHARING CREATIVITY and COMPANY: Stampin' Up! 's Convention Was Fabulous!!! Stampin' Up! 's Convention Was Fabulous!!! Eight of my Stampin' Up! demonstrator friends and I went to Stampin' Up! 's convention in Salt Lake City. We had four days filled with fun and friendship. The theme was Grow. The displays and classes all had a gardening theme. 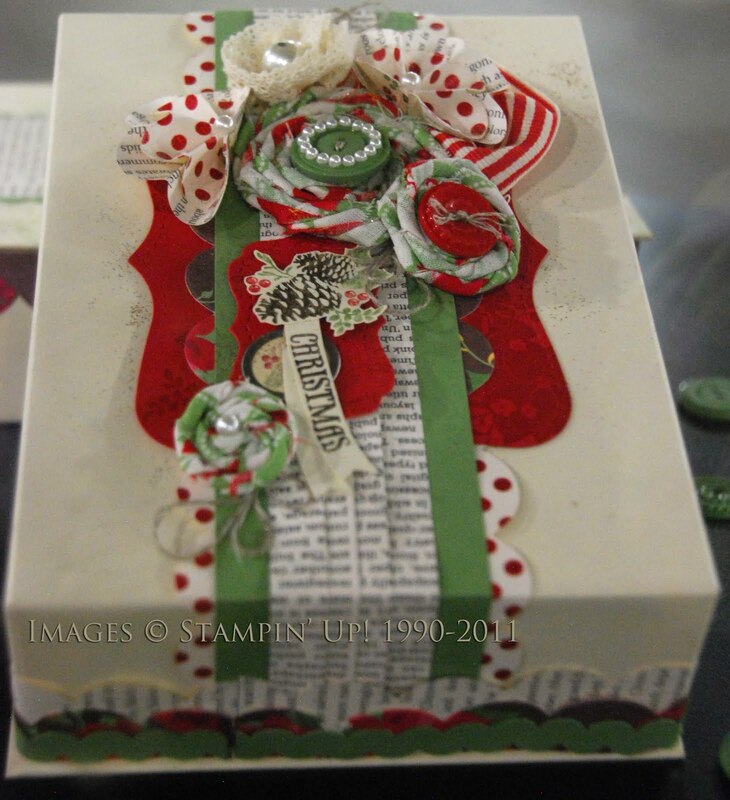 The classes were about growing as a stamper, demonstrator and friend. 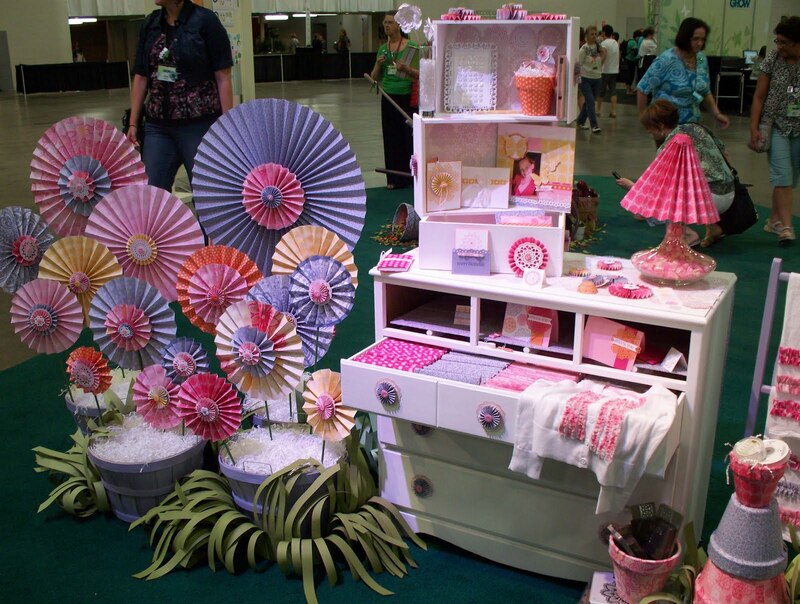 At convention, there are lots of classes, swaps and opportunities to visit with other demonstrators. This year they had some extra classes with over the top projects. Here are the houses that they made in the Village of Cuteness class. Stampin' Up! went out of their way to delight and surprise all of the convention attendees. There was a large display area that featured different papers and fabrics. Here is part of the display using the Flirtacious Specialty paper and fabric. You can see more photos from convention on my Facebook page. In the display area they also showed the Christmas box that is part of the current $99 Starter Kit Special. If you join my Stampin' Up! team by July 31st, you will get the kit for this Christmas Box in addition to your starter kit.